I have had the worse craving for chocolate chip cookies this week. Normally every week I make my Husband a batch of homemade chocolate chip cookies, and I am talking about the kind that are not healthy at all! Big, fatty, chocolaty chip cookies. I restrained myself for two weeks and didn’t make any! I am actually surprised I wasn’t asked to make a batch. The reason besides the cookie that I didn’t make them is because I have a secret love for cookie dough. I don’t care if there is a raw egg in it, I still eat it! I love it, love it, love it!! I didn’t want to make the cookies because I eat the batter until I’m sick! Secretly taking a scoop here and there! Did you know there are more calories in raw cookie dough than there is in the actual cookie! Crazy! I guess you burn some of the calories out when you bake them. So what do I do with such a horrible craving? Improvise! I thought, huh I love my raw chickapea balls I made, I wonder if I can make cookies with that? Then it came to me! I made black bean brownies and they were a hit and so good. I wonder if I can make blondies with garbanzo/chickapeas? As I gathered my ingredients the worse thing happened! I had no garbanzo beans! Ahhhh! How does that happen? Now that I really had the craving for chocolate chip blondies, I panicked!! What can I use in place of garbanzo beans? Ahhh, a can of white kidney beans. Why not try it? I love experimenting in the kitchen, I love my beans, and it worked with black beans, why not white? So I made my batter in my blender, gave it a taste test and it didn’t taste great, but either did the black bean batter. I added more sugar and more vanilla and butah bing it tasted better. I folded in big chunks of semi-sweet chocolate chips baked them in the oven and in 30 minutes I had blondies. They looked good, a little flat in color on the top, just like the black beans. I patiently waited as they cooled, wondering if my experiment worked? Finally I cut them and they cut easy, not crumbly at all, that’s good, and then I took the first bite. At first I thought hmmm, not sure if they taste like chocolate chip, think I need another bite, then I got a chip and there it was! The taste of chocolate chip cookies! Yah! I did it!! It worked!!! I am shocked beyond belief! I can’t believe how good they turned out. The blondies exceeded my expectations! 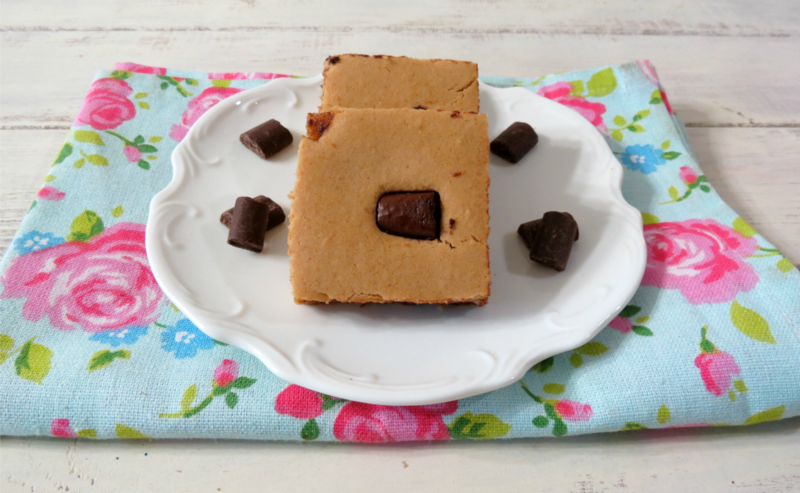 Now these blondies are a little more dense than traditional blondies, they are almost cake like in taste. I think it’s because I added whole wheat pastry flour to it because I wanted a puffy and not flat blondie. They are just perfectly moist,which is amazing since there is no oil in them. I actually like the consistency of them! 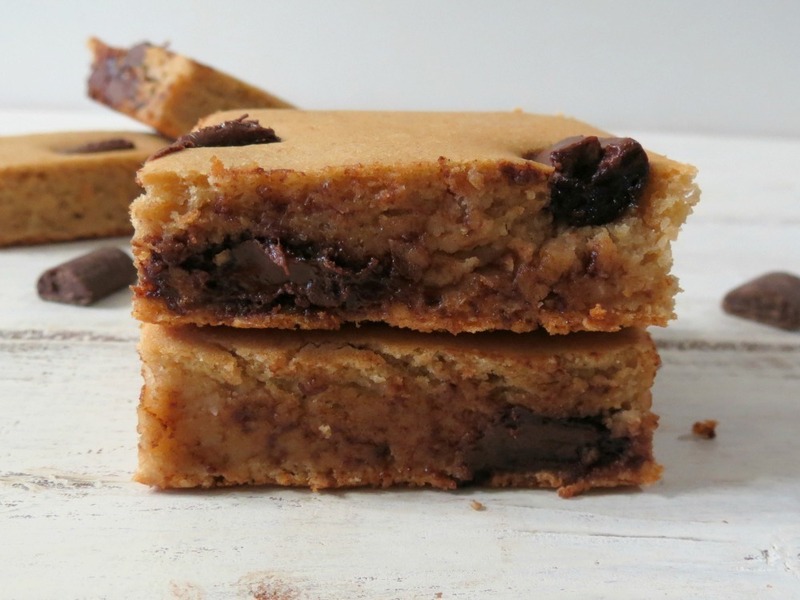 These blondies are sweet, full of chocolate chunks and totally satisfy my chocolate chip cookie craving! I already ate three blondies, you know I had to test them and all! he he Once they were completely cooled, I stored these in a ziplock plastic bag and tried one out the next morning to see how they would be at room temperature and you know what? They taste even better the second day! Woohoo!! The center is moist and the chocolate is perfect! I am not kidding you, no one would have a clue these are made with beans. I wouldn’t know if I didn’t make them. If you’re a chocolate chip cookie fan, I’m telling you, try this recipe out. Save some for the next day because they are even better! My Husband is taking them to work and I can only hope he didn’t take all of them! I’m already craving one. I can guarantee I’ll be making these a lot! 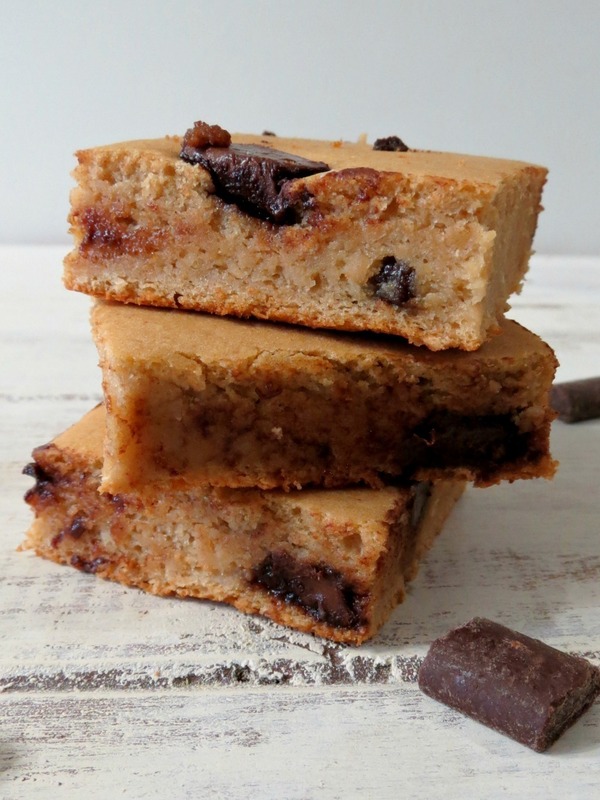 A perfect healthier replica of a chocolate chip blondie made with white kidney beans and big chunks of sweet chocolate chips. In a food process or blender add all the ingredients, except chocolate chips. Process until smooth, you may have to scrap the sides of the blender down a couple of times. Pour batter into prepared pan, bake for 30 - 35 minutes, insert a toothpick, if it comes out clean, brownies are done. Now time for this weeks links that I found. iVillage had a review on what to buy and what to skip at Trader Joe’s. You know I love Trader Joes, so I just had to share. I have to agree with them on the produce, I normally buy my produce at the Farmers Market, however if you’re looking to buy potatoes, squash or tomatoes, Trader Joe’s is the place to go! Way cheaper!! Spry Magazine had an article on binge eating and what the signs are for you or a loved one. I understand these habits, where I know sometimes I fall into these categories. I’m trying to be better, so when this happens, I have low, healthy snacks. I keep the bad stuff out of the house. However I don’t think I would ever mix mashed potatoes and Oreos! Yuck! Huff Post Taste had an article on the dumbest frozen foods. I have to laugh, I love these kind of articles. I personally don’t get why people by crustables. Just make a PB and J and grill it!! Epicurious has a map on what produce is in season where you live. I love this! It’s perfect for spring and summer fruits and veggies. You know I LOVE Strawberries, they are my favorite fruit. I bought a half a case which is 8 baskets last Saturday and guess what? I ate them all! I didn’t bake with them or anything, I just ate them. I love them! They are a true sign that spring is here. Here is a graph to why I think you should love them too. I found this on Foodista. 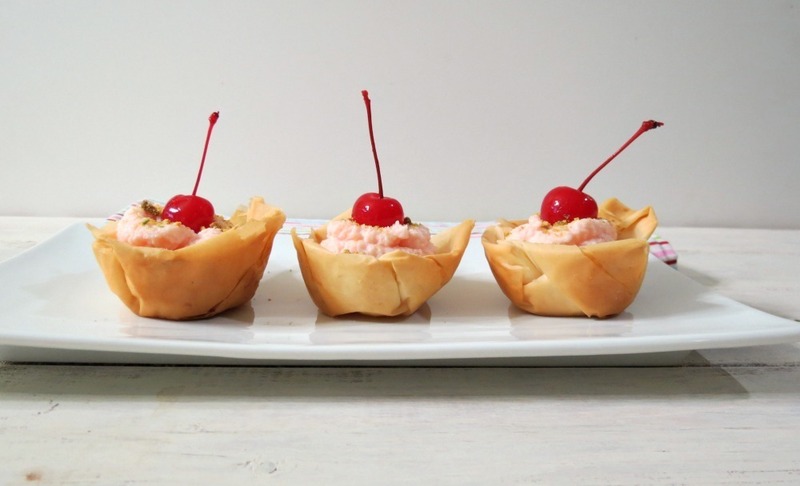 Sunday: Pistachio and Cherry Cannoli Cups – This little dessert is amazing! My Husband couldn’t stop eating them. This is one we will for sure be making again!! 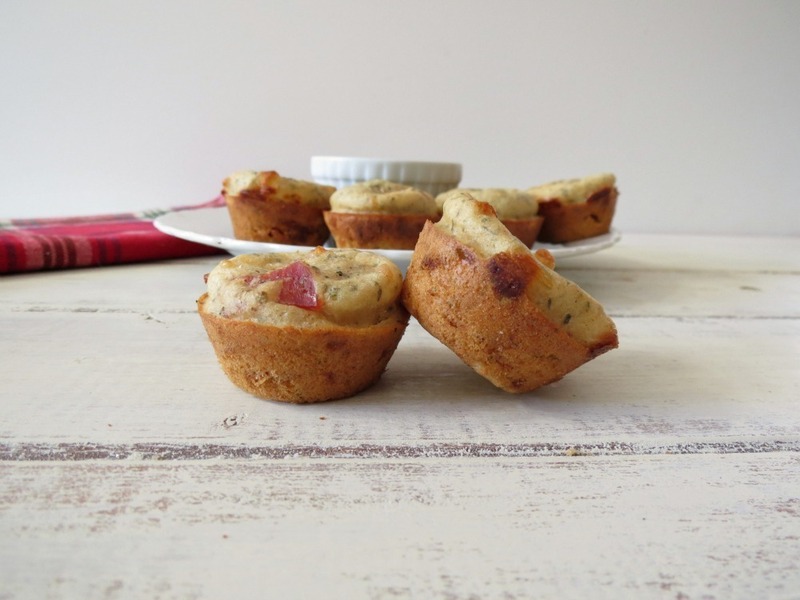 Monday: Pizza Muffins – This was part of the Secret Recipe Club and I am so glad I made these. They were a huge hit with my family. I can’t get over how these little muffins taste like pizza. So good! 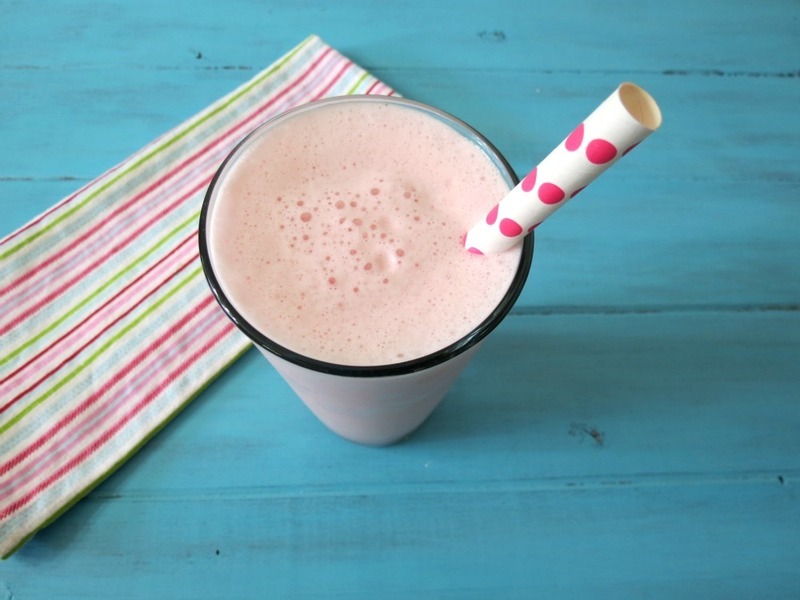 Wednesday: Pretty in Pink Smoothie – This is a nice, simple, sweet with a slight tang smoothie. I had this one a few times this week. I just love the pastel pink color! 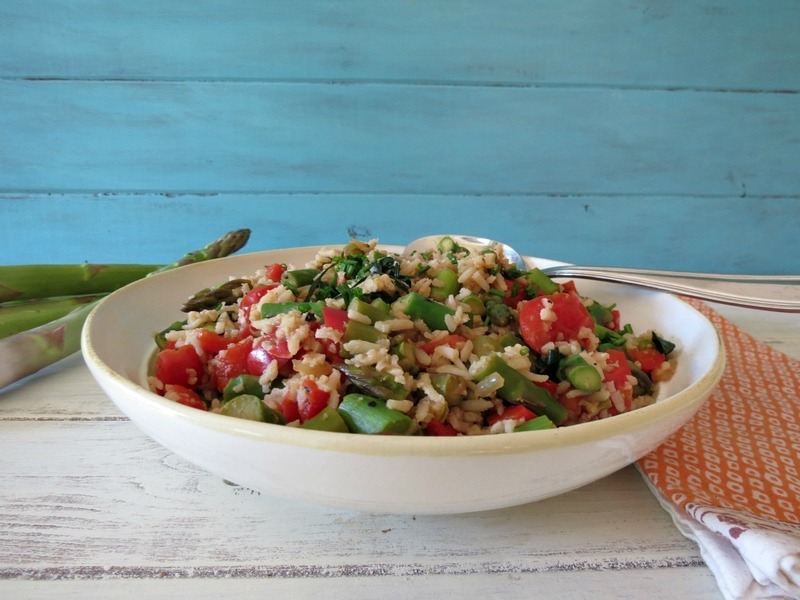 Wednesday: Asparagus and Basmati Rice – This dish was simple, filling and so full of flavor. I had it as a side dish with dinner, then the next day I put it on my salad, then the following day I made a stir-fry and threw the remaining leftovers into it. It’s a great salad, eaten warm or cold! 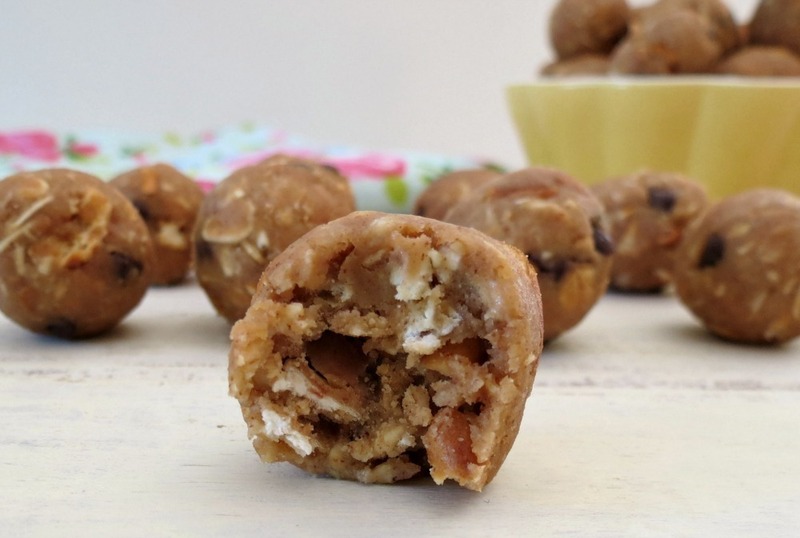 Thursday: Chocolate Pretzel Almond Chickapea Balls – What can I say, it’s different, delicious and I love that I had 50 balls in my freezer this week to munch on. I am amazed on how good these came out. Nothing beats a nice healthy cookie and you don’t have to feel bad if you eat more than one! 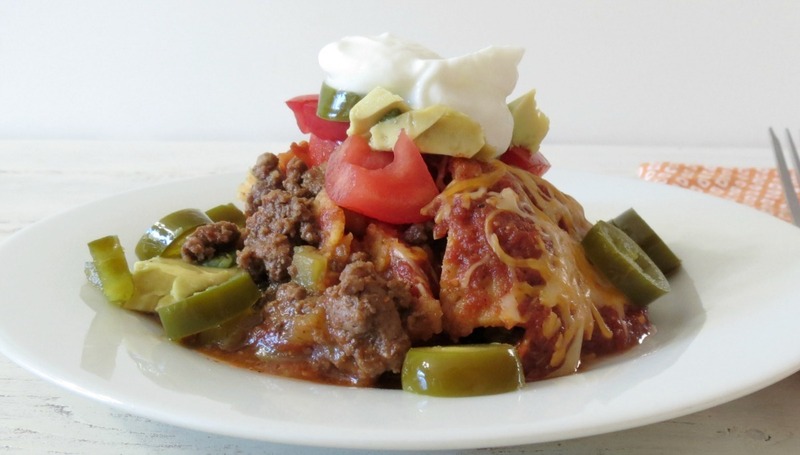 Friday: Skillet Enchiladas – Oh man do I love this dish! I will be making this again and again. So glad it’s a hit with my Husband too!! It’s beefy, hearty, pretty low-calorie and so darn good! I love that it’s about 20 minutes to make and I love that I can make my own enchilada sauce. If you like beef enchiladas, you must try this recipe!! Well my Friends, time to get rockin! I have so much to do in so little time. I normally have recipes planned out for you, but I have nothing for next week, so I need to get to work!! P.S. It’s been tow days now since I made the Chocolate Chip Bean Blondies and again I asked my Husband what he thought and he said he loved them. I asked if they were dry, he said no, perfectly moist! Ha Ha!! I can’t wait till he reads this post!! Normally I post my cravings for this week, but I am craving a big fat, veggie pizza with peppers and onions. Think that is what I am going to have for dinner tonight! Hi Chris! I just love having fun, using odd ingredients in my cooking and baking! Love that no one can tell! 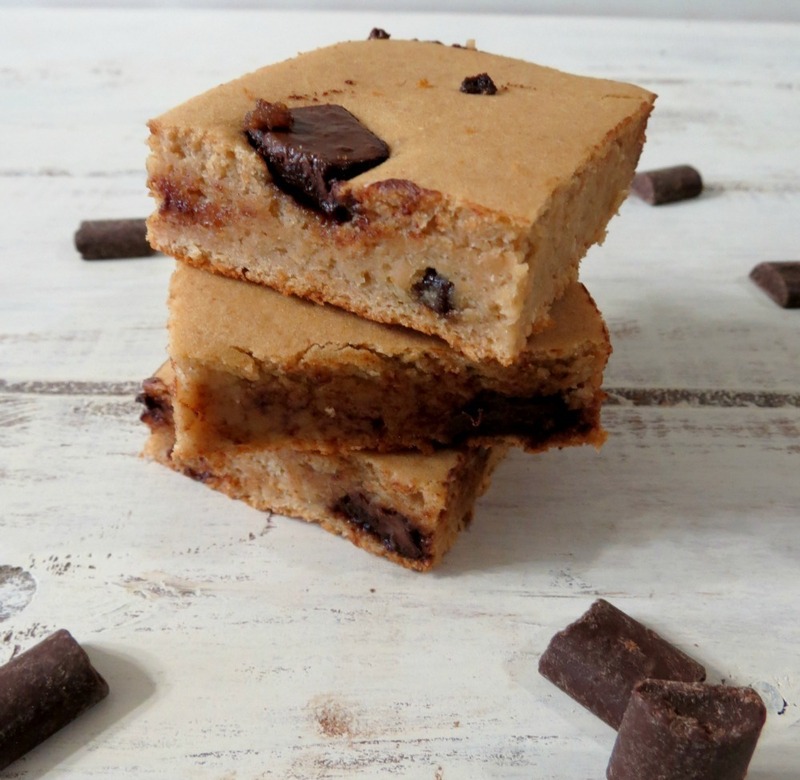 I like raw cookie dough better than actual cookies also so I think I need to get some of these blondies into my life! Yum! Raw cookie dough is crazy good!! 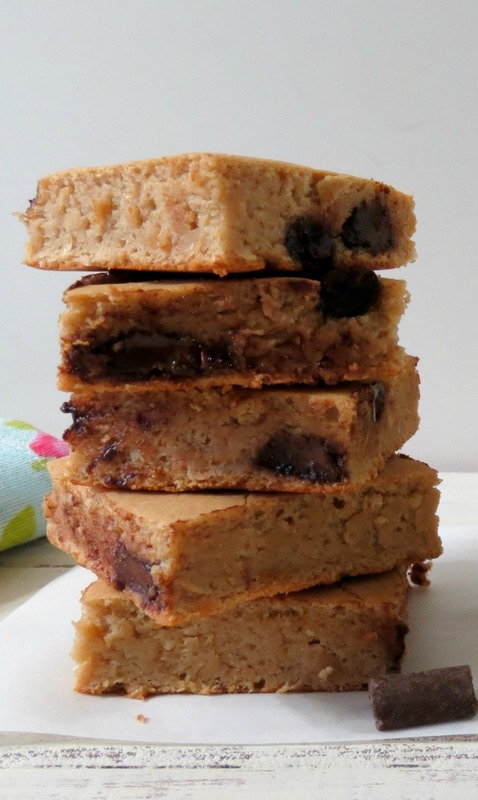 Glad to make these blondies instead, keeps my hands out of the batter! OMG I have GOT to try using beans because these look amazing and I love the healthy factor! I’ve tried a chocolate cookie that used black beans once. will have to give these a try. I am totally intrigued by the beans in this. Sounds fabulous! Mmmm, these look amazing. I still haven’t made your chickpea balls from earlier in the week but I finally bought all the ingredients for them yesterday so I’ll be making them very soon. I’ll be using the leftover chickpeas in place of white kidney beans to make this recipe. Where have these been my whole life!! I have yet to make black bean brownies and these look very similar YUMMMMM! I am soooo making these pinning them for later! Great job Jennifer! 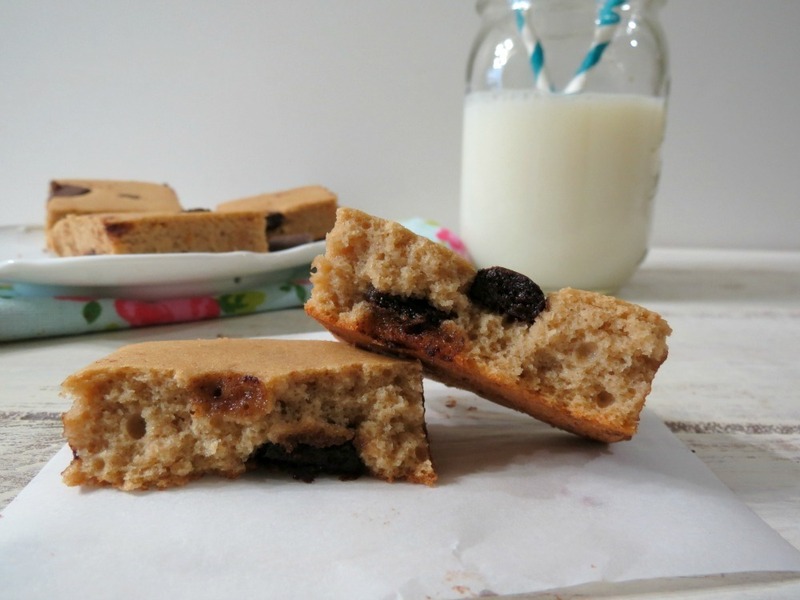 I’ve never tried bean blondies before! I keep seeing them everywhere. Yours look wonderful! Thanks Sally! You should try it, you would be surprised on how good they are. I like these kind of recipes too and it’s really true, you don’t miss the real thing. Hey, this recipe looks great. I have a question about the stevia – is it liquid or the powder kind? Hi Barb! I used powder kind. If you make it let me knwo what you think. Have a great rest of the day!